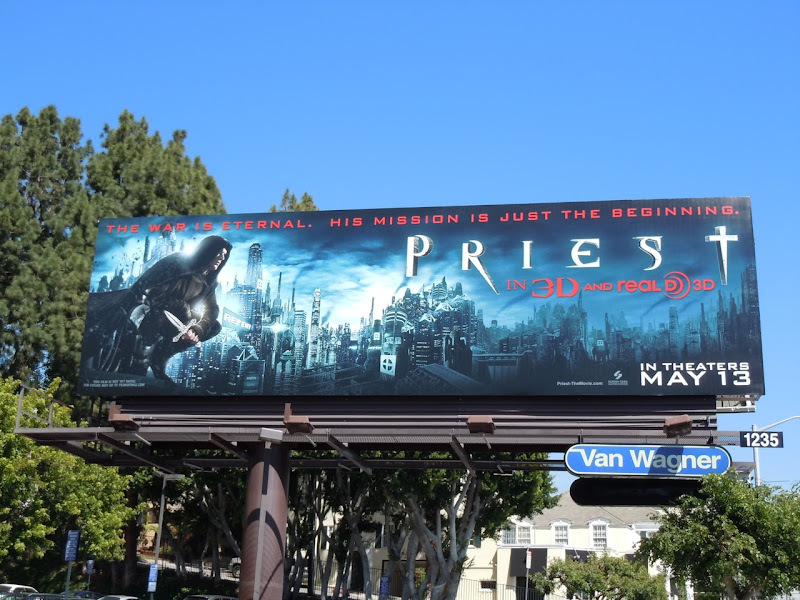 There's something about these billboards for new futuristic movie Priest that reminds me of Batman. From the shadowy, cloaked figure watching over the city skyline, to the souped up motorcycles thundering into action. 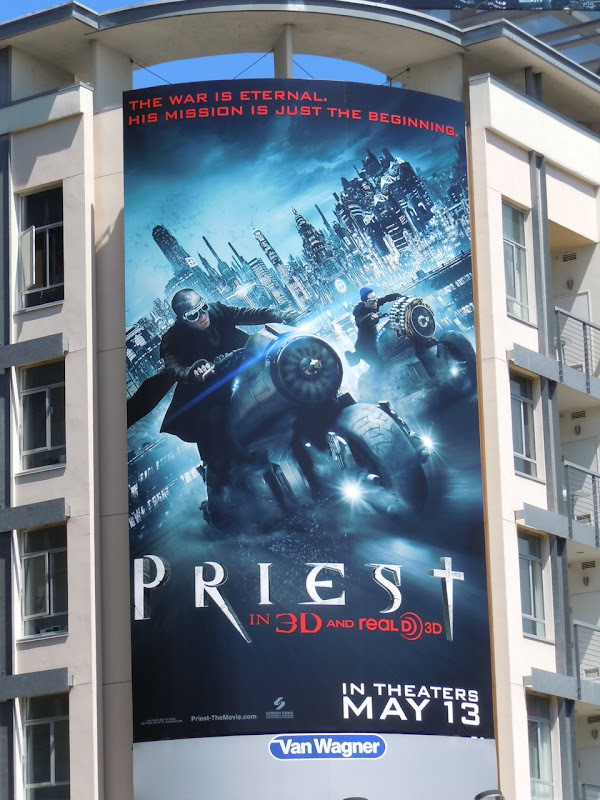 Let's hope that this post-apocalyptic sci-fi film, starring Paul Bettany as the titular 'Priest', can capture at least an ounce of the credibility and awesomeness of Christopher Nolan's movies. 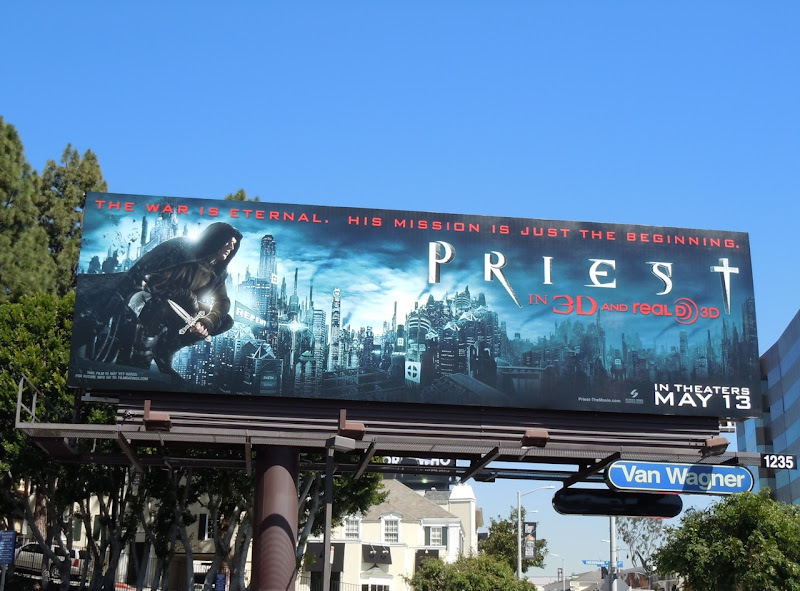 We certainly don't need another stinker like Legion, because no matter how good the billboard for that other movie with religious overtones was, Paul Bettany just couldn't save it. 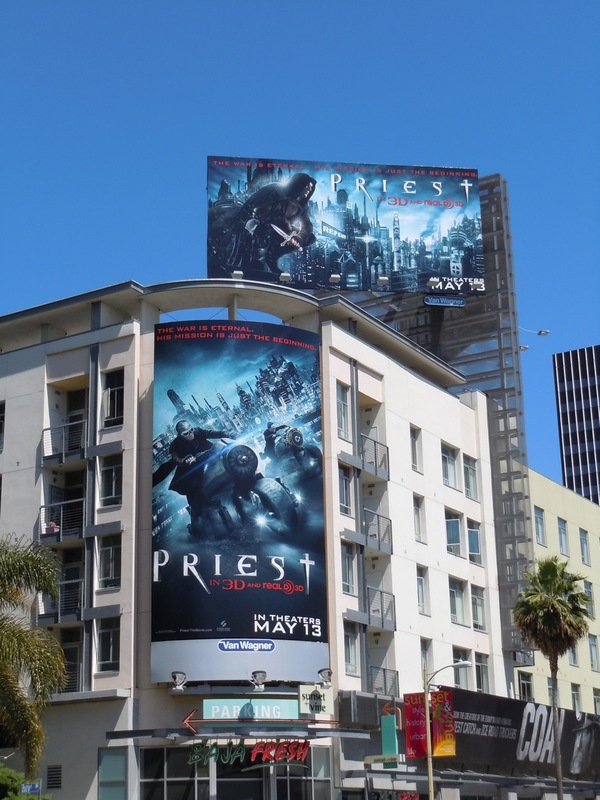 The first billboard was snapped along Sunset Boulevard in West Hollywood on March 31, whilst the two combined billboards were photographed opposite the Cinerama Dome in Hollywood.